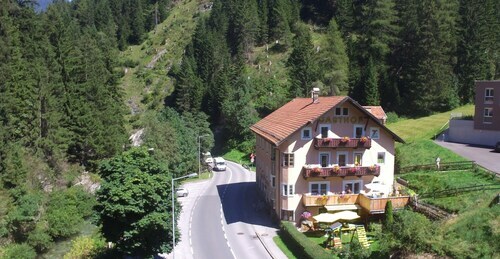 Situated in the mountains, this hotel is 0.1 mi (0.1 km) from Isarco Valley and 2 mi (3.3 km) from Brenner Pass. Ortler Ski Arena and Outlet Center Brenner are also within 3 mi (5 km). 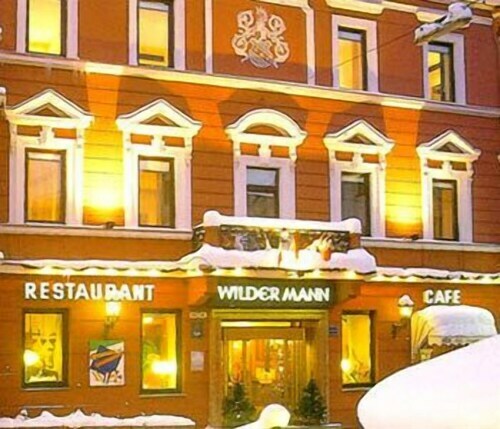 Located in Innsbruck-Land District, this inn is 0.1 mi (0.1 km) from Wipptal and within 6 mi (10 km) of Alfons Graber Museum and Parish Church of St. Erasmus. Baerenbachl Water and Adventure Park and Bergeralm Ski Resort are also within 6 mi (10 km). Gries am Brenner Station is 24 minutes by foot. Situated in Val di Vizze, this bed & breakfast is 0.1 mi (0.1 km) from Isarco Valley and 2.8 mi (4.5 km) from Ortler Ski Arena. 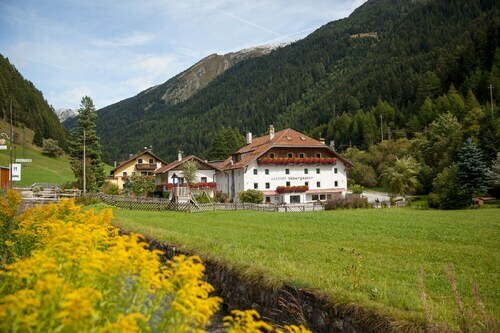 High Alps Nature Park Zillertal Alps and Parish Church of Santa Croce are also within 12 mi (20 km). 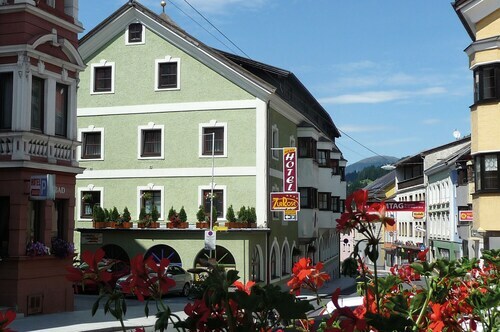 Conveniently located near the ski slopes, this Innsbruck-Land District hotel is within a 5-minute walk of Wipptal, Bergeralm Ski Resort, and Baerenbachl Water and Adventure Park. Alfons Graber Museum and Parish Church of St. Erasmus are also within 15 minutes. Steinach in Tirol Station is 14 minutes by foot. Located near the slopes, this Innsbruck-Land District hotel is in the mountains and within a 15-minute walk of Wipptal, Bergeralm Ski Resort, and Baerenbachl Water and Adventure Park. Alfons Graber Museum and Parish Church of St. Erasmus are also within 5 minutes. Steinach in Tirol Station is 7 minutes by foot. Located in Innsbruck-Land District, this hotel is steps from Wipptal, Alfons Graber Museum, and Parish Church of St. Erasmus. Baerenbachl Water and Adventure Park and Bergeralm Ski Resort are also within 15 minutes. Steinach in Tirol Station is 6 minutes by foot. 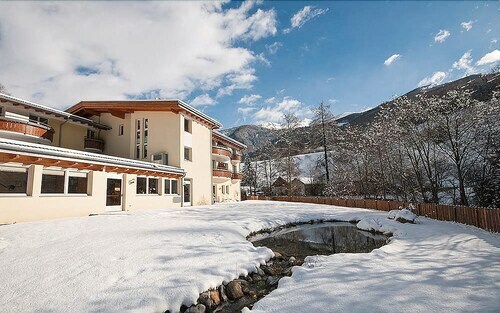 This family-friendly Vipiteno property is located in the mountains, just steps from Isarco Valley and Ortler Ski Arena. SKYTREK Adventure Park and Monte Cavallo-Rosskopf Gondola are also within 2 mi (3 km). Located near the slopes, this Vipiteno hotel is within a 5-minute walk of Isarco Valley and Ortler Ski Arena and close to winter sports such as cross-country skiing. Monte Cavallo-Rosskopf Gondola and SKYTREK Adventure Park are also within 1 mi (2 km).